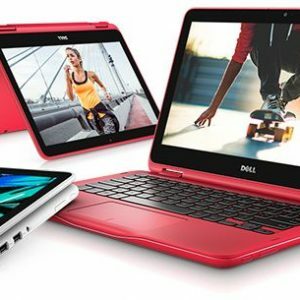 The Dell Inspiron 11 3000 3180 / i3180 is an extremely cheap mini-laptop, usually starting at only around $200. The plastic-clad 3-pound ultraportable has an 11.6-inch display with budget-class 1366-by-768-pixel resolution and without IPS wide viewing angles nor touchscreen functionality. For interaction with pre-installed Windows 10 OS and programs, you can use the notebook’s chiclet-style keyboard without backlight and spacious multi-touch trackpad. 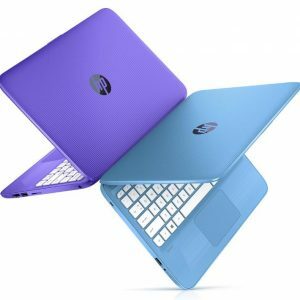 Unlike similar laptops which usually feature Intel’s Celeron processors, the Inspiron 11 3000 3180 / i3180 has the AMD E2-9000e or A6-9220e chips from the same entry-level CPU category. The energy-efficient dual-core E2-9000e and A6-9220e are good only for non-demanding PC tasks. They can serve well for the routine chores like web surfing, emails, work in text processing and spreadsheet programs, or multimedia playback. The chips are paired with 4 Gigabytes of system memory, which is a satisfactory capacity for moderate multi-tasking. The weakest specs point of the notebook is its small internal eMMC storage capacity – only 32GB. The good news is that you can expand storage space by using laptop’s built-in microSD media card reader. 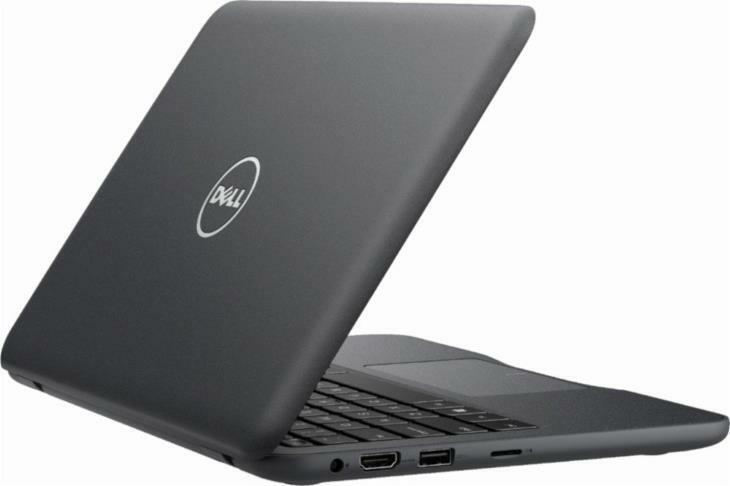 The Dell Inspiron 11 3000 3180 / i3180 has a relatively small battery of 32 WHr. But, given the small display size and low power consumption of the CPU, the battery life shouldn’t be terrible. Based on the specs, one can assume the battery can last at least around 5 hours on a charge, with mild computing load and screen brightness. Furthermore, the laptop has stereo speakers, a 720p HD video camera, older-generation 802.11N Wi-Fi wireless, a USB 3.1 and a USB 2.0 port, HDMI video out port, combo microphone / headphones jack, microSD reader, and Bluetooth. 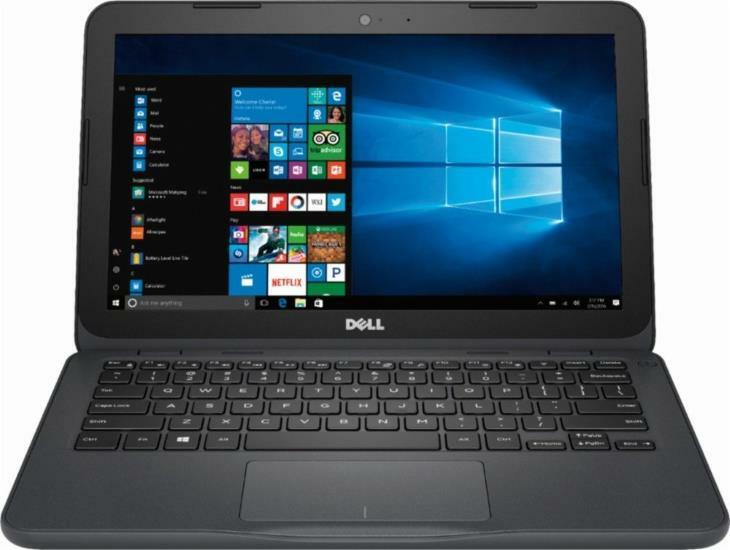 Here's the specs sheet of the Dell Inspiron 11 3000 3180 i3180. For comparison against other laptops, use the "Compare Specs" button. pros: audio is really satisfying, battery is good, the texture is smooth and relaxing, good for students, researching, really portable, fast when you have sd card mounted. Stopped reading at “add McAfee”. If you like bloated software that kills system performance, by all means. But don’t knock on a item’s performance when you install and use such crap. If you bought a bike and then slashed its tires and threw on a couple of sandbags on the back would you then complain that the bike doesn’t ride well? Wouldn’t bother spending much on upgrades with this notebook. The bottleneck is the slow CPU and that you cannot change. Even running a low impact OS like Lubuntu is not the greatest but a least the storage issue is less with a Linux install. Can’t imagine using Windows with only 32Gb of storage? Yeah you can add in a micro SD card but that’s slower and many programs won’t install to it. Windows needs at least a 64 Gb storage drive to effectively do upgrades two times a year and all the updates. Hi, at least on select 3180 models upgrade to SSD is possible. I have found in a 3180 service manual (link page 25) that there is a 2.5″ hdd / ssd bay inside. In another document (link page 16) I have found that at least some models have an M.2 SSD slot. But, on the same page it says: “NOTE: Depending on the configuration you ordered, your computer supports EITHER hard drive, solid-state drive or eMMC.” So, it is possible that not all models have a 2.5″ connector or M.2 slot for SSD. I think it’s best to contact your laptop seller or Dell for a definite answer. I hope this helps a bit. btw: As far as I know, the 3180 is currently available only with 32GB eMMC.